From 3.1 Phil Lim comes this sharp and clean classic fit dress shirt. 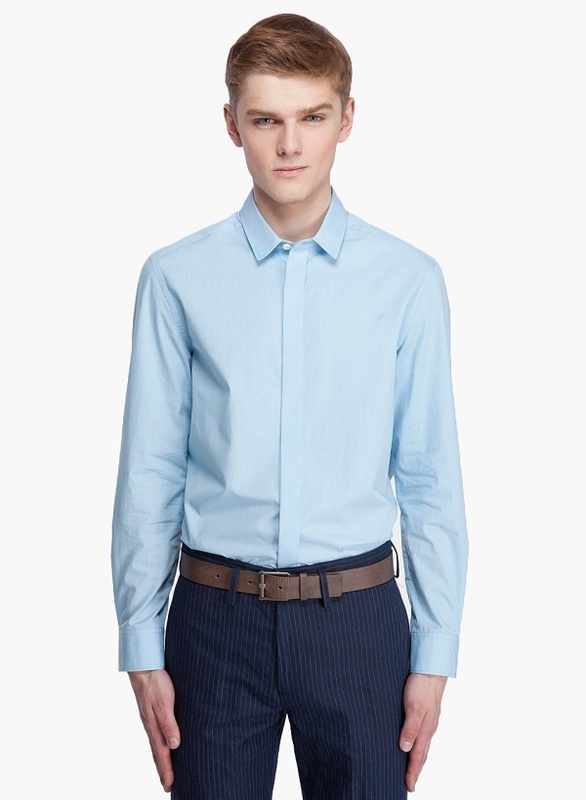 The sky blue top features a spread collar, hidden button placket, pleats at back yoke and two button sleeve cuffs. Finished off with tone on tone stitching, the cotton shirt contributes to a crisp look. Available online. This entry was posted in Dress Shirts, Tops and tagged Phil Lim. Bookmark the permalink.